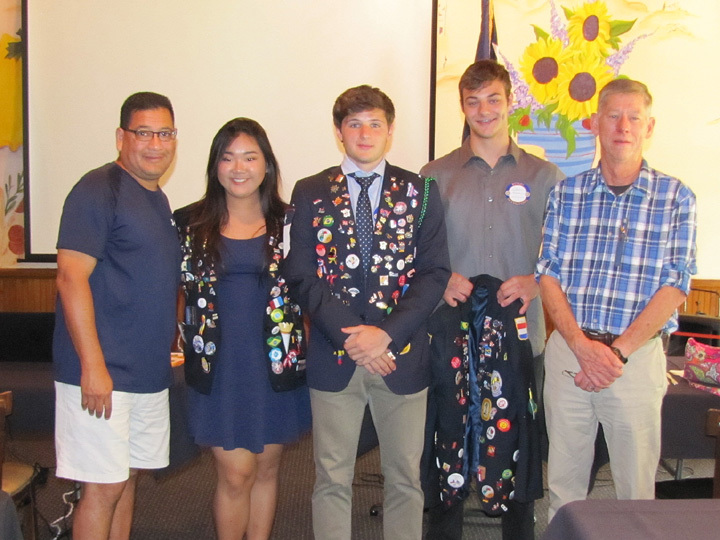 Willowbrook Rotary prepared to say goodbye to our three Rotary Youth Exchange Students for 2014/2015. Shown above are RYE Students Dong, Gigi and Cuno with Rotarians Ruben Santos, Vocational Chair, and David Thompson, President. Each student made a presentation to the club on their year in America and their experiences with the Rotary Program. These students have formed lifetime bonds with their host families, Willowbrook Rotarians, other District 5890 Exchange Students and with each other. We give them our blessings as they return to their native countries and pick up the challenges of continuing their education.